I’ve been working on a bit of a side project in recent weeks, and it’s taking me away from writing this blog as regularly as I’d like to. I don’t explore the city as much either, sticking mostly within my own neighbourhood. At the same time though, a neighbour in the building is doing some renovation work, and the constant drilling and hammering proved to be a nuisance and often breaking my concentration. If only my laptop is not one that requires attachment to the mains all the time, then I could head out somewhere new and work out there at the same time. Wouldn’t that be ideal? 12 Aug: A couple of weeks ago, Chloé and I went to the Disneyland for a little bit of summer fun. However, the day was long and the heat was getting to us too. We skipped the closing lightshow and fireworks for another evening, i.e. this evening! 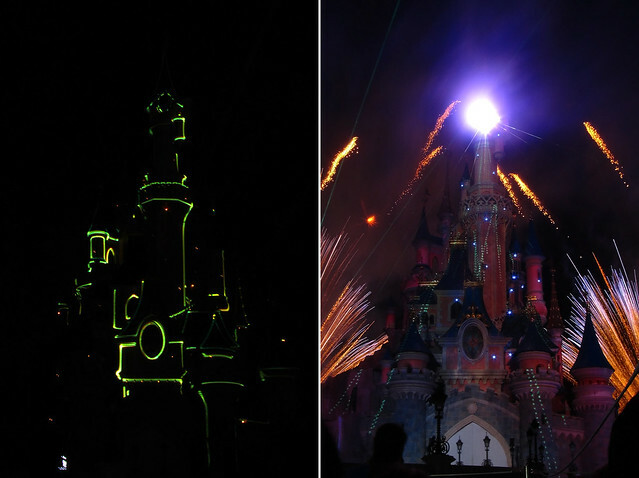 It was a magnificent show, synchronised to the many catchy tunes, featuring well-loved Disney characters. If only they would start the show a little earlier… Pretty much everyone was good to watch the show by 10.15pm, 10.30pm, even 10.45pm, but no, they held off until 11.00pm. It was starting to get chilly without the warmth of the sun, you know. 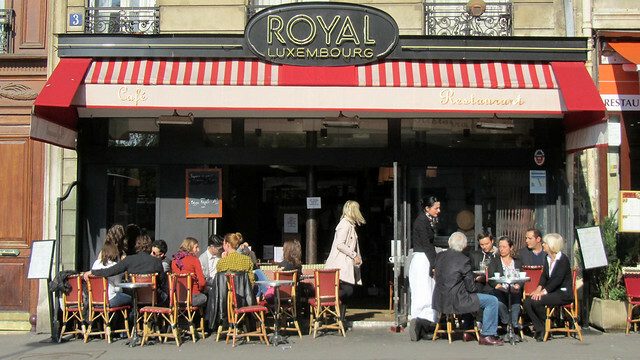 Paris is greeted by sunshine, going into the second half of the year. Hurrah! Sure, there were intermittent clouds and grey sky this week, but blue is becoming prominent too. A massive dose of sunshine is also due our way in the coming days, so to “celebrate” I’ve been exploring around town a bit more than I have been in the past few weeks. We also hosted a couple of visitors early in the week so they were brought to just about all of the main sights possible within the time constraint. 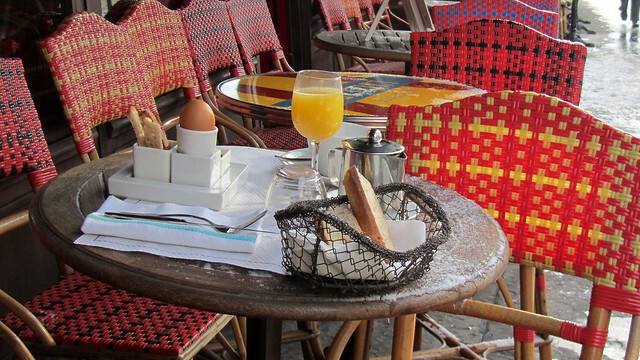 1 Jul: The village of Montmartre is undoubtedly busier than usual, but there are still quiet corners to be found. La Maison Rose (i.e. 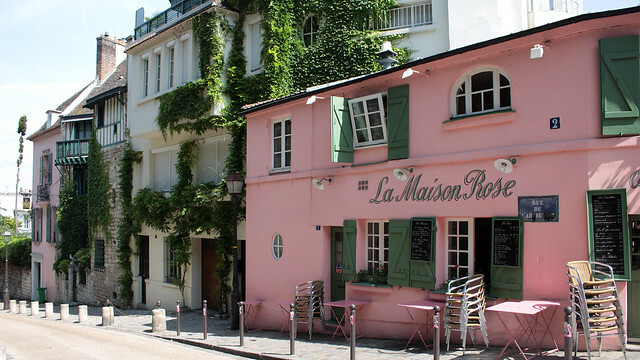 The Pink House) is located right around the corner from the Montmartre Museum and the last vineyard of Montmartre, and the streets nearby could easily take you away from the crowds. A few steps in and you’ll find yourself pretty much on your own, basking in the fact that you’re still in Paris but it feels far, far away from the madding crowd. Paris constantly surprises me. Streets that I use on regular basis still contain unknown elements, waiting to be discovered. Double-takes on my part become something I look forward to and I am also gradually more observant, provided I’m not in a hurry or lost in my own little world. I should start exploring them by foot instead of flashing past them on a bike or on the bus. 27 May: In the past, the royal procession of a newly-crowned King of France would enter the city on a route that includes rue St Denis and passing by Châtelet to get to the Palais de la Cité (today used as Palais de Justice). 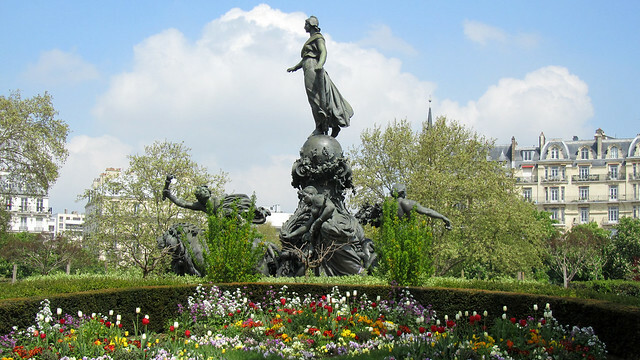 Commemorative monuments (most of them on temporary basis) would be erected along the route and the Fontaine des Innocents was among those erected to welcome the royal entry of King Henry II. 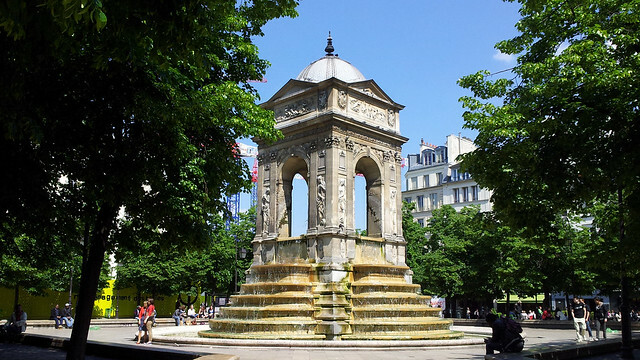 Back then, the “fountain” was not free-standing but built against the wall of the former Holy Innocents’ Cemetery (hence the name), with taps to provide water to the citizens of Paris. The “windows” were actually part of the viewing balcony! It was moved to its current location in mid-1800. Edna and I met up on Thursday for a Vietnamese lunch not too far away from Nation. As the sky cleared up for the afternoon while we searched for something sweet – we ended up in Grom for some gelati – an afternoon flânerie was definitely in order. 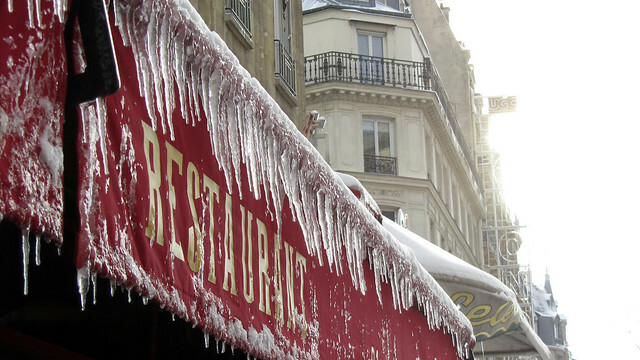 Paris, at its heart, is a walking city. 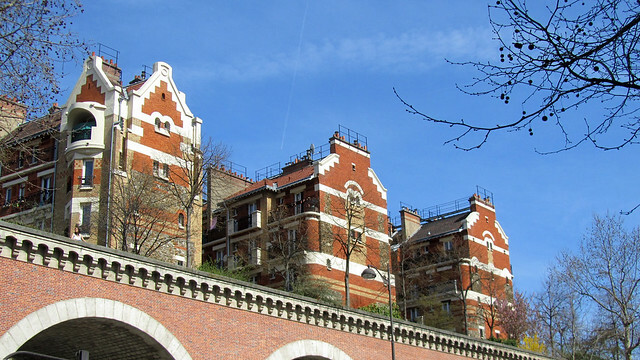 It is not very big, approximately 105km² in size (for comparison, London is about 1500km²), and there are many lovely small streets and hidden gardens to explore by foot. Now that the weather has been rather pleasant again after a very long winter, the amounts of time I’ve been spending walking across parks have also increased significantly. 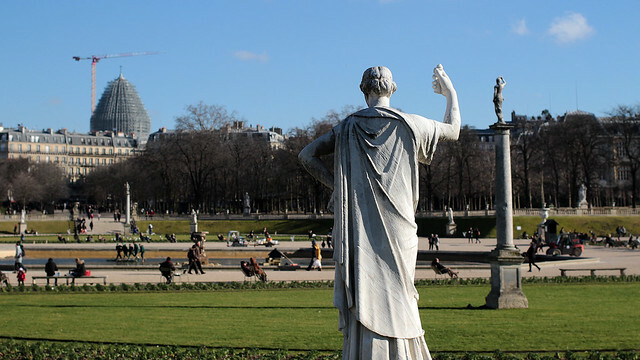 I’m also very lucky that Jardin du Luxembourg sits between home and work, so it’s not as if I’m taking massive detours! 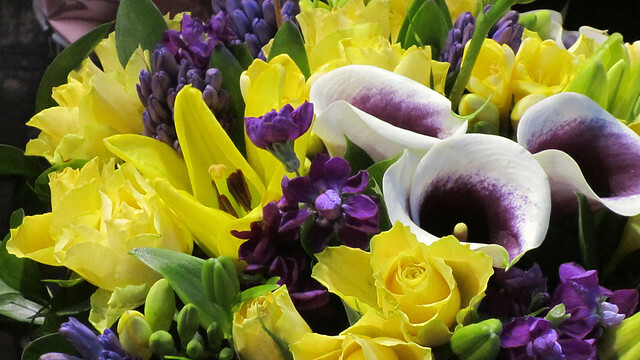 25 Mar: This bouquet of flowers reminds me of Wexford – the sunny southeast of Ireland – of which the official county colours are yellow/gold and purple. Ironically, there is very little sunshine in Paris at the moment that Wexford may well be seeing more of the fireball in the sky than here. 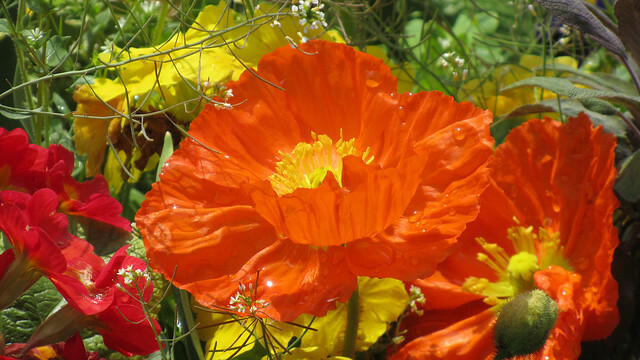 Still, this vibrant combination does cheer the day up a little. 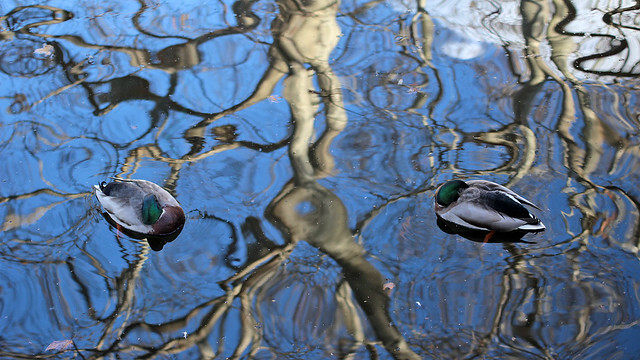 To the big guy up there: hello, we’d like spring whenever you are ready to send it our way? It may says March on the calendar, and we’re a mere week away from official start of spring. However, the weather is anything but that. 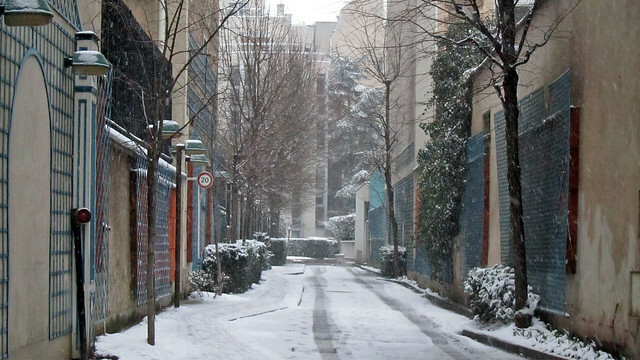 Between yesterday and today, the temperature plunged to sub-zero level, and in Paris, the snowfall easily measured a good few inches. Not as severe as the northern part of the country, where some places received over 60cm of snow! As the buses were not running this morning and trying to take the métro would only complicate things for me – there’d be unnecessary distance to travel before changing line and the two lines, which are already normally among the busiest in Paris, would be completely crazy on a day like this when service was reduced and there were even more demand than usual. Besides, it was not a terribly long walk, and I got rewarded with pretty winter scenes to photograph. This winter has been the bane of my health and I am really tired of it. It seems I’m falling ill nearly every month, and this week has been the worse yet. The irony is that I’ve had a restful week last week and was preparing for a solid week of work and planning etc, only to be thwarted suddenly by a crippling flu. I had to stay put for a couple of days at home. Boo. 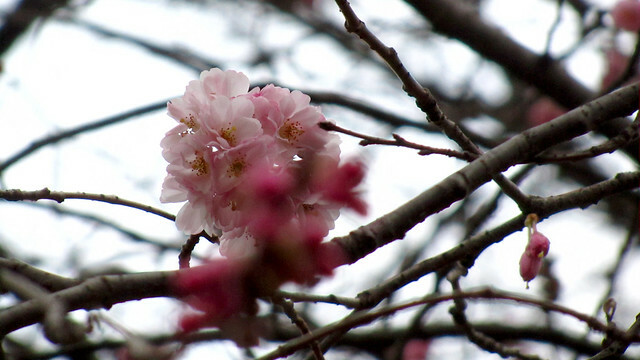 18 Feb: Seeing cherry blossoms makes me happy. It just does, and I can’t explain why. Maybe it’s the imminent arrival of spring (never mind that the weather forecast for the rest of the week would be coooooold). Maybe it’s the wispy splash of soft pink. Maybe it’s its association with Chinese New Year. Maybe it’s the reminder of the beautiful view I used to get from my studio in Cité U.